California alt. rockers The Mowgli’s have released “Mr. Telephone,” the second single from their forthcoming EP American Feelings out March 1. The four songs that make up American Feelings all harken to the lack of discourse and engagement prevalent in society today, especially with technology serving as both a facilitator and barrier. “Mr. Telephone” was written from observing the feelings of isolation, anxiety and the lack of connection in fans, friends, family and society as a whole, much of it fueled by technology. “With social media creating transparency, we can see so much more,” says Josh Hogan. “We’re all so available & we get answers in a matter of seconds. Some of us thrive in this environment, and some just can’t seem to cope.” The pointed social commentary is delivered through a subtle hypnotic melody and sweeping infectious choruses that have become the band’s signature. The Mowgli’s hit the road with Jukebox the Ghost on their co-headlining “Making Friends” tour the end of the month. See the full list of tour dates HERE. Alternative Rock’s positivity torchbearers The Mowgli’s have released the effervescent first single “Hard to Love,” from their forthcoming EP American Feelings out March 1. 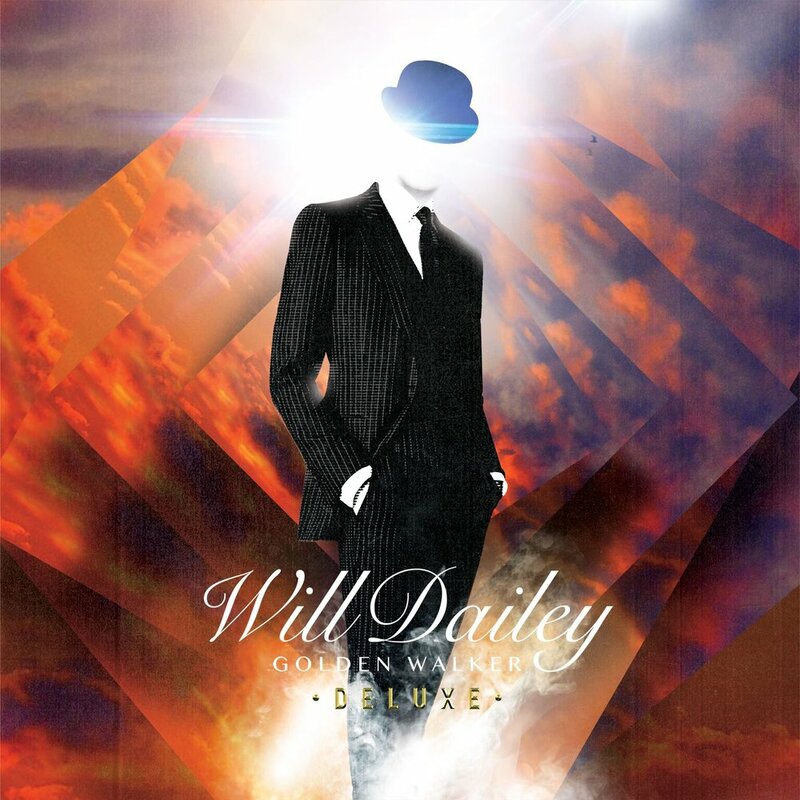 The song - and the EP in general - hit on themes of human connection in a world that is simultaneously more interconnected and fragmented daily. Since their early days as a 10+ member collective in Venice Beach, California The Mowgli’s have been writing songs that ooze and illicit joy, including their break out hit “San Francisco,” that brought them national attention and cemented the band as indie-rockers with purpose and a message. Two subsequent albums and an independent EP have captured an ever-growing fanbase drawn to their feel-good anthems. As the band has grown as individuals they’ve found a balance of mixing their uplifting writing with songs that give insight into the trials of a working band, as well as growing up in general. This was captured perfectly in their anthemic hit “Kansas City” from 2018’s I Was Starting To Wonder EP. The band, slightly smaller than their inception is now comprised of singer/guitarists Colin Dieden & Josh Hogan, singer Katie Jayne Earl, drummer Andy Warren, keys player David Appelbaum and Matt Di Panni on bass. The release of their first major-label LP Waiting For The Dawn in 2013 saw immediate success with the hit single “San Francisco” and the band quickly found themselves playing to sold out crowds in clubs around the U.S. and inundated by requests for press, sponsorships and partnerships. The band’s music has accumulated 250 Million streams and counting, and they’ve graced the stages of major festivals such as Lollapalooza, Bonnaroo, ACL, Firefly, Osheaga, Arroyo Seco, BottleRock, Bumbershoot and more. They’ve worked with major international brands such as Spotify, Abercrombie, Levi’s, GM, Dunkin’ Donuts, VW and Verizon and continue to spread their message of positivity not only through their music but through their work with charities such as Heal The Bay, Happy Bottoms and the International Rescue Committee. The Mowgli’s will be playing songs from American Feelings live this winter on a co-headlining tour with Jukebox the Ghost. See the full list of tour dates HERE. 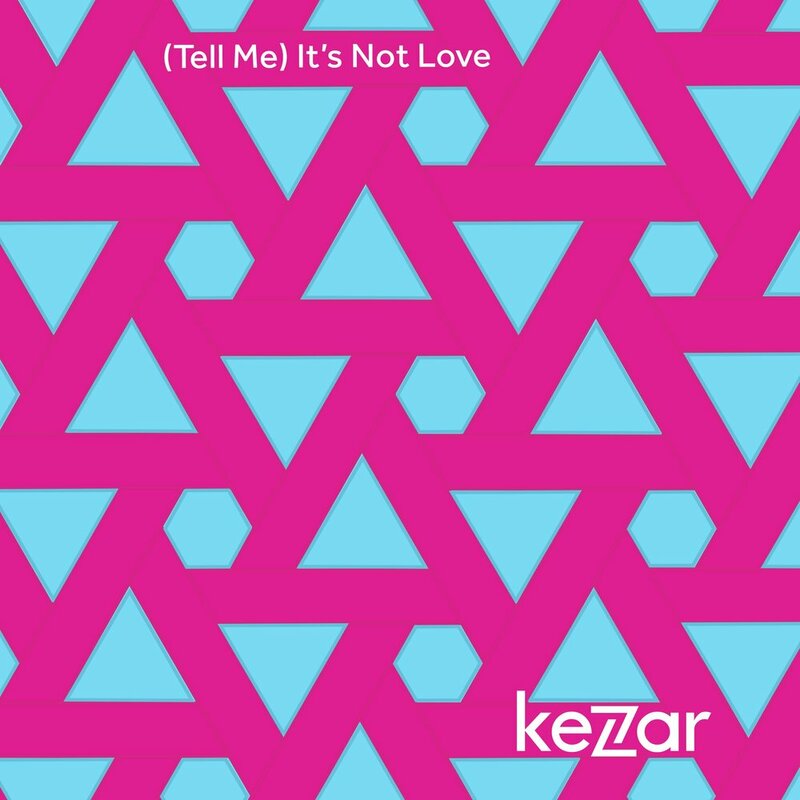 KEZAR RELEASES THEIR DEBUT SINGLE "(TELL ME) IT'S NOT LOVE"
Kezar has released their debut single “(Tell Me) It’s Not Love” out everywhere today. Kezar is a brand new project from seasoned musician Jack Mosbacher and drummer James Small (Fantastic Negrito). With this project, Mosbacher tapped into his affinity for infectious, previously unexplored beats. When choosing a moniker for the project, Mosbacher wanted to stay true to his hometown of San Francisco by naming it after Kezar Stadium in the Haight-Ashbury district. Choosing the original home of the 49ers and a now music venue that played host to music legends such as Led Zeppelin, Santana and The Grateful Dead, seemed like the perfect segway into a new chapter in his career while staying true to his roots. While soul will always be the backbone of Kezar’s music, Mosbacher also draws inspiration from contemporary pop artists like Shawn Mendes, Bruno Mars and Sam Smith. Partnering with Small on this new project created the perfect marriage of Mosbacher’s sunny San Francisco pop style with Small’s heavier-hitting Oakland R&B. 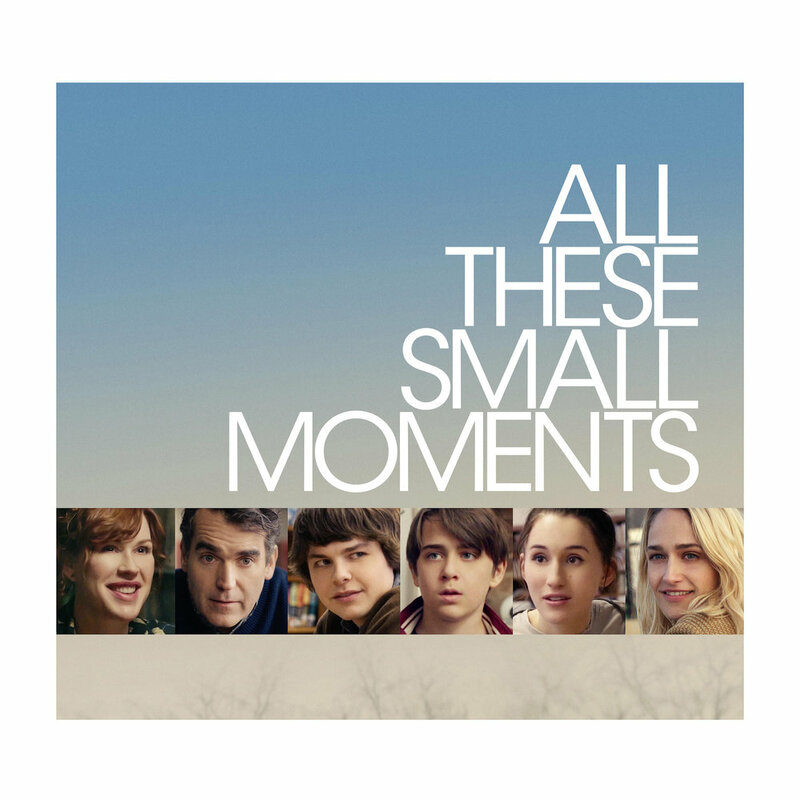 Mother West has released the soundtrack to the highly buzzed about indie film All These Small Moments out today on all digital platforms. The coming-of-age drama is about a teenage boy's infatuation with a woman he sees on the bus that further complicates his already tumultuous adolescence. While he navigates life at home and his parents’ crumbling marriage, he pursues the woman. Other stars of this film include Jemima Kirke, Brendan Meyer, Sam McCarthy and Harley Quinn Smith. The film was released in theaters nationwide on January 17th and is available today on demand on digital platforms including Amazon, Google Play, Vudu, Xbox, Cox (Cable VOD), Comcast (Cable VOD), Spectrum (Cable VOD), Verizon (Cable VOD) and DirecTV (Cable VOD). COOPER & GATLIN RELEASE A CHARMING RENDITION OF "WONDERFUL CHRISTMASTIME"
Just last week, the two also released a remix of their debut single “Break” in collaboration with Ultra Records artist Tep No who called it “one of the best remixes he has ever made.” “Break” is a catchy and relatable tune about the stoic face you put on in front of ex- lovers. It’s an anthem about looking alright before someone who has broken your heart. Upon its release the track was featured on Spotify’s New Music Friday U.S. playlist and the video has amassed over 530,000 plays. The pair draw you in with their lush harmonies, tight melodies and playful brother-sister dynamic. Originally from Franklin, Tennessee, the family relocated to Los Angeles in 2014 and the two have spent the past several years since honing their craft as songwriters and musicians. By forging their inspirations, the duo recently wrote a batch of new left-of-center pop songs that are fun and uplifting in delivery, but still deeply personal and relatable. This time of year is very special to them as it’s all about spending time with loved ones, making memories, traveling and spreading joy through music. They hope to bring fun, happiness and warmth to everyone’s ears this holiday season with this track. BRANDY ZDAN RELEASES A DYNAMIC LIVE VERSION OF HER TRACK "WILD FIRE"
Brandy Zdan has released a live version of her song “Wild Fire” out on all platforms today. To accompany the track is a live video shot in one take in her hometown of Nashville by Joshua Shoemaker (Alabama Shakes, Margo Price, Hurray for the Riff Raff), watch it HERE. Working with Shoemaker on the video was incredibly exciting for Zdan. “I’ve been a fan of Joshua Shoemaker’s work for quite some time so I was excited when he reached out to me about shooting a live performance video. It was a no brainer letting him take the reigns as our aesthetic and color palette were a perfect match,” she says. This track is originally from her sophomore record Secretear released earlier this year that Relix Magazine described as “riff-laden burners and mindful pop ballads [that] shine with emotional resolve and permanence.” Co-produced by Zdan and Teddy Morgan, she also recruited My Morning Jacket's Tom Blankenship and Carl Broemel to play with her on the record. Thematically, the album saw Zdan reaching into the darkest corners of her past and letting go of anything that has ever held her back. She dug deep into her rock roots to bring forth a set of raw, commanding tracks that Rolling Stone said explore “the middle ground between the Beatles, the Breeders and the Bangles.” Additional praise for the record has come from The Tennessean, B-Sides & Badlands, Popdust and more. Songs from Secretear can also be heard on Spotify playlists like “Badass Women” “Rockin’ Vibes” and “Fierce Femmes.” “Wild Fire” is a track that sets the tone for who Zdan is as an artist and whose message and tempo were perfect to bring to a live setting. She said of the song, “Wild Fire is a middle finger to the liars and fakes who try to put you down and keep you down. And if they keep you down even for just a second you know full well that it's all just fuel to pick yourself up, regroup and come out of the gates even stronger." Zdan is also currently out on the road making a stop in Chicago tonight before traveling to Texas for a few more shows. Filled with soulful instrumentation, vulnerable lyrics and tender melodies, Moda Spira releases her sophomore album Divorce. The project of singer-songwriter Latifah Alattas, it is an album marked by deep emotional honesty as it takes you on a sonic journey through the deterioration of Alattas’s marriage. To accompany the album, Alattas has released a podcast series. Each episode sees Alattas dissect a song from the album with producer Luke Brawner and co-host Aaron Hale, and is deeper examination of the pain, grief and healing process that resulted from the dissolution of her marriage. This podcast is as brutally raw and honest as it sounds, but was an important step in the healing process for Alattas to walk through the pain with the overall goal of putting the series into the world to help other people heal. The episodes are dedicated to the making of a song on the record as well as the emotional story of her last year. Listen on Apple Music HERE and Spotify HERE. For Alattas, it was not an option to bury her pain, self-medicate or retreat deep into her own mind. Instead, she decided the best way to face her suffering, was to channel it into a radically personal and revealing work of art. These songs served as her guiding light through a dark and uncertain time in her life. The album kicks off with a haunting cover of “Ring of Fire” that showcases Alattas’s incredible vocals and sets the somber, yet electrifying tone for the record. It also includes “Four Letter Word,” a more R&B-tinged track and “Bang” that weaves the feeling of discovering infidelity into a jazzy, orchestral sound. The album is now available digitally and on 180 gram white vinyl HERE. The accompanying podcast is made up of 13 episodes, each episode about a song on the record, in addition to a prologue and epilogue. On the podcast Alattas, who co-produced the record with Dave Wilton, gives listeners insight into her painful story with raw transparency and emotion as she explains the story behind each track. Alattas began writing under the moniker of Moda Spira with the goal of exploring intimacy in all of its beauty. In latin, Moda Spira translates to “the continual act of breathing,” so like loving, breathing is something essential to our daily existence. When the Nashville-based artist isn’t writing her own music, she works as a producer and engineer (a field in which women are few and far between) and has produced albums for indie artists, including A Boy & His Kite, helping them place “Cover Your Tracks” on the soundtrack for Twilight: Breaking Dawn, Part II. Her songs have also been featured on One Tree Hill, The Gates, Lifetime films and The House at the End of the Street. She has also composed incidental music for MTV and E! Moda Spira is her return to solo performing. In addition to Moda Spira, Alattas has a long resume that includes time as a solo artist and work with Page CXVI, a band that reinterprets traditional hymns, the indie rock band Autumn Film and Sola-Mi, an experimental trio. Fans can be first to experience Divorce in a live setting as Alattas brings it out on the road supporting Liz Vice. 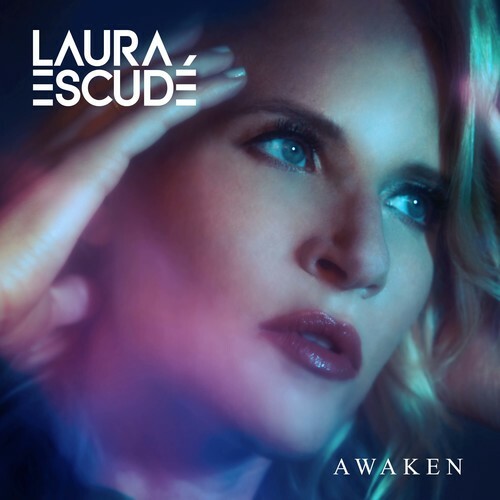 LAURA ESCUDÉ THE PIONEER OF FUTURE CLASSICAL RELEASES "AWAKEN"
Laura Escudé’s “Awaken” is out today worldwide on all major digital retailers and streaming services. This is the second single off the forthcoming EP Transmute due out on November 16th. 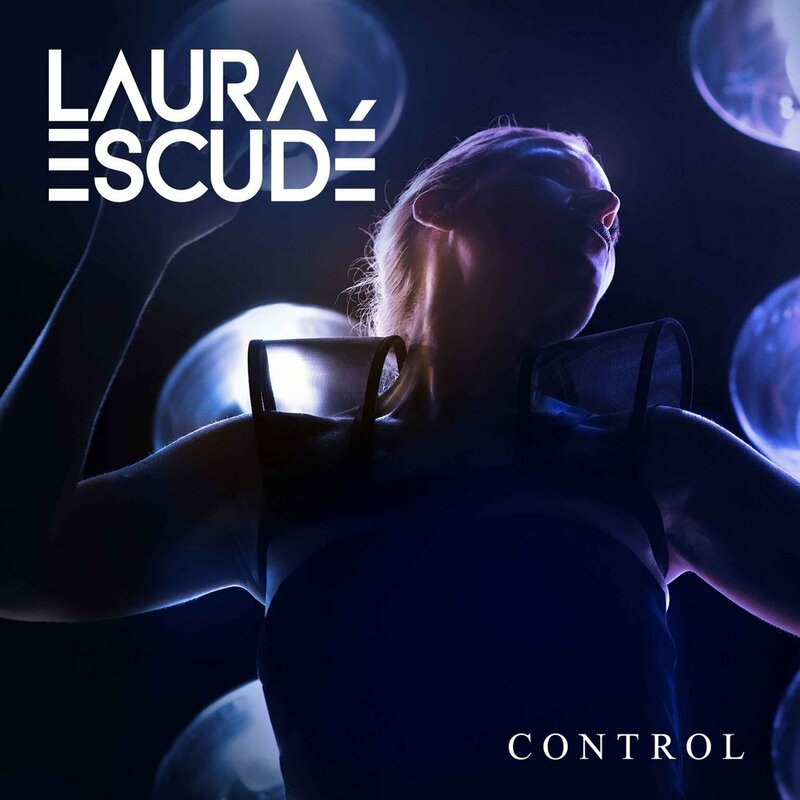 Laura Escudé is creative visionary, a CEO and the world’s most in demand controllerist and live show designer. She possesses a deep understanding of complex technology, a passion for music and art and a unique talent for fusing the two. She was the world's very first certified Ableton expert and trainer. Her work with Ableton has taken her all over the world working with artists such as Kanye West, Jay Z, Porter Robinson, Herbie Hancock, Charli XCX, Drake, Bon Iver and more. The demand for her work and time became so great that she started a company called Electronic Creatives - of which she is the CEO - and hired and trained a team of top tier programmers to serve her A-List client roster which now includes The Weeknd, Harry Styles,Camila Cabello, Vic Mensa, Porter Robinson, Kid Cudi, Iggy Azalea, Garbage, Charli XCX, the Yeah Yeah Yeahs, Logic, Selena Gomez and more. Escudé recently sat down with Ableton to give fans a look into creative and complex composing process via the Ableton One Series HERE. In addition to being an artist and CEO, Escudé also lends her time and talents to mentoring and educating up and coming artists. She is a frequent guest lecturer at conferences and major universities all over the world. This fall she will be a featured speaker at the Ableton Loop conference, and a featured mentor for Red Bull’s Hack the Hits program, Spotify’s CO.LAB Series and the Berklee School of Music’s Signature Series. She will also be launching the Transmute online course later this year. A course she designed to teach her craft of live show design to students with a mix of wellness practices, so they can not only build and enhance their careers but live a balanced and healthy life. Escudé has previously recorded and released music under the Alluxe moniker, and these two singles from the Transmute EP are the first works to be released as Laura Escudé since she went back to using her own name. The songs on this EP document the years Escudé has spent pulling back the layers of her psyche, tearing down the walls she built up to get to the person that she is at her core. Transmute is an intimate look into her journey of finding her voice. “Awaken” is the point where Escudé experience freedom that comes with really knowing who you are. She no longer has to choose which role to play, that of entrepreneur, an artist and a performer. She only needs to be herself. This song sees Escudé embracing all aspects of herself and living life with clarity, gratitude, awareness and depth. Illness has become vibrancy. Dark has become light, and nothing is more symbolic of this transformation than by giving up her former stage name, Alluxe, and becoming Laura Escudé. Escudé will be performing “Awaken” and the rest of the tracks on Transmute live at the #TransmuteInteractive event at Apogee Studios in Los Angeles on November 13th. For more information or to RSVP click HERE. San Diego’s The Silent Comedy have released their long-awaited full-length album Enemies Multiply. Born of the personal and professional hardships that deeply affected brothers Joshua and Jeremiah Zimmerman a few years ago, the record would also become a harbinger for the current cultural climate. Enemies Multiply is a collection of 11 songs that the band is very proud of and like most incredible works of art, something really beautiful emerged from a very dark place.The timing couldn’t be better to release this album of songs shaped by bewilderment and frustration in 2018. Recorded in Austin, Texas, Enemies Multiply is a sonically hard-hitting affair. The brothers used the conflicted energy of their personal struggles to create their most engaging album to date. At the center is “Sharks Smell Blood,” that’s all bluesy strut, spooky choirboy harmonies and a sing-along hook. Likewise, “Avalanche” features a searing guitar line and squelching church organ. “No Saints Forgiven,” begins as a back porch delta-blues confessional that quickly explodes into a Van Halen-esque sing-along at the chorus. The songs were shelved at the time for a number of reasons, the main one being that it was too difficult reliving the painful and frustrating time they were written in. But then the 2016 election happened. Joshua was living in New York City and feeling completely disheartened by the country’s new reality. He realized that the feeling of this moment is what they wrote the record for. A certain pall of outrage and desperation had settled over the country and in Joshua’s estimation, the album now had greater cultural resonance. Joshua and Jeremiah Zimmerman formed the Silent Comedy in their adopted hometown of San Diego. The brothers spent their childhood traveling around the world with their missionary parents. The family returned to the U.S. and meandered a bit on the road before settling in San Diego, where they moved into a house with nothing in it but an upright piano. It was then - around junior high - that the brothers started collaborating on songwriting as a form of catharsis. It is their travels that have colored their worldview, which when compared to some of their peers, is decidedly darker. Seeing the immense amount of suffering around the world really shaped their life views and Enemies Multiply is a distillation of this somber perspective. Being the band’s third full-length album, it is the culmination of a long, winding journey for them. Joshua Zimmerman says, “Enemies Multiply is a really special album for The Silent Comedy. It’s a collection of our most personal, heartfelt songs to date and it means a lot to us to share it with the world. These songs are anthems for dark days, so this is a perfect time to release them.” Their last full length, Common Faults has gone through three rounds of CD re-pressings due to demand, and has garnered tens of millions of streams and downloads.Their music has also been paired with gritty American tales such as Hatfields & McCoys, starring Kevin Costner, the History Channel’s original series The Men Who Built America, Showtime’s Shameless, and the theme song for the first season of the Amazon show Goliath. The success of the album led to tours of North America, Europe, and the UK, and supporting slots with artists such as The Heavy, ZZ Ward, Ryan Bingham, and Dave Matthews Band to name a few. The band will also be celebrating the release of the record with a sold out hometown show in San Diego at The Casbah tonight. 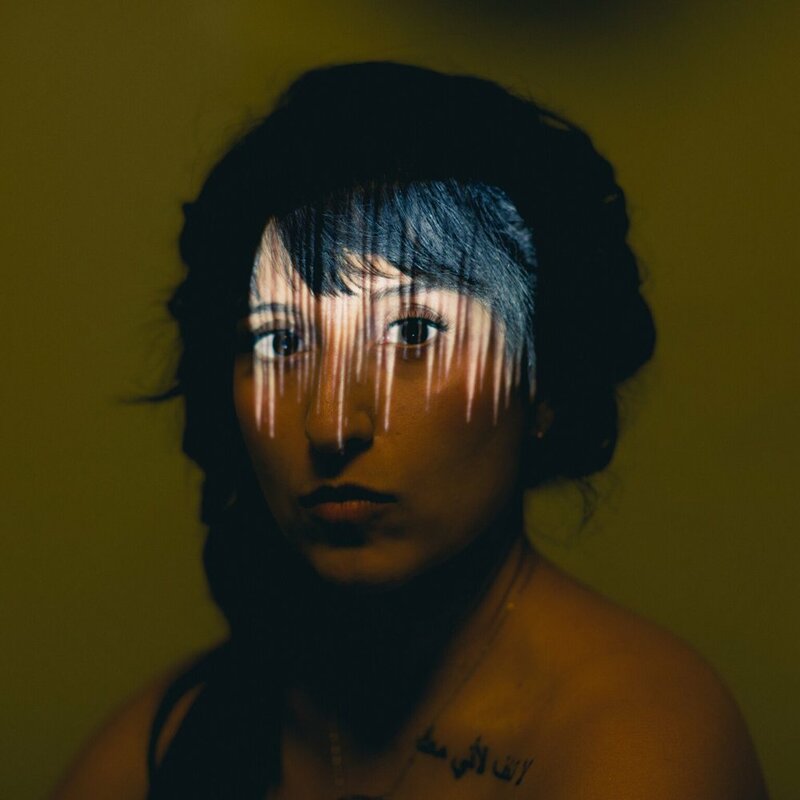 Singer-songwriter Latifah Alattas opens her heart and soul with Moda Spira’s sophomore album Divorce, due out October 26th, a project marked by deep emotional honesty and melodies brimming with tenderness. She has released the second single “Regret” today. This new Moda Spira album is simply called, Divorce as it takes you on a sonic journey through the deterioration of Alattas’s marriage. Instead of burying, self-medicating or avoiding her pain - Alattas decided the only way around it was to face it head on and writing the songs on the album served as her guide through the dark and treacherous path of reliving and trekking through pain. “Regret” is a slow, smooth ballad that embodies the scrambled questions and thoughts that rolled through Alattas’s mind when sorting through her grief and shock. The album is available for pre-order - both digitally and on 180 gram white vinyl HERE, and will be released with an accompanying podcast series that goes into the making of the record. The podcast is made up of 13 episodes, each episode is dedicated to a song on the record, in addition to a prologue and epilogue. On the podcast Alattas, who co-produced the record with Dave Wilton, give listeners into her painful story with raw transparency and emotion as she goes into the making of each song along with the story that inspired it. Alattas also works as a producer and engineer (a field in which women are few and far between) and has produced albums for indie artists, including A Boy & His Kite, helping them place “Cover Your Tracks” on the soundtrack for Twilight: Breaking Dawn, Part II. Her songs have also been featured on One Tree Hill, The Gates, Lifetime films and The House at the End of the Street. She has also composed incidental music for MTV and E! Moda Spira is her return to solo performing. In addition to Moda Spira, Alattas has a long resume that includes time as a solo artist and work with Page CXVI, a band that reinterprets traditional hymns, the indie rock band Autumn Film and Sola-Mi, an experimental trio. Alattas will bring Divorce out on the road supporting Liz Vice on her West Coast tour this fall. Having previously worked with Eisenstein on his magnificent David Ruffin tribute EP WhyNot (after Ruffin’s hometown of Whynot, Mississippi), “Valerie” seemed like the perfect song to record next. WhyNot which was released earlier this year, was a way for Mosbacher to pay tribute to one of his biggest heroes growing up. He first began an ongoing love affair with music by listening to the music of The Temptations. Ruffin was forced to abandon a solo record following struggles with addiction and a tussle with Motown Records but thirty years later, an independent label acquired the album and quietly released it. Mosbacher jumped at the chance to honor his late idol’s forgotten work, and in collaboration with Eisenstein and an eclectic array of musicians, he covered four of Ruffin’s previously unreleased songs in a classic Motown session style: all of the instruments in one room, making music until they got it right. Watch an incredible live performance of one of the songs on the EP, “Your Heartaches I Can Surely Heal” HERE. Exuding confidence, modern charisma and soulful warmth on “Valerie,” he considers it his love letter to the late Amy Winehouse whose beautiful light went out far too soon. Mosbacher’s voice revives the best of the past with timeless warmth, contemporary sensibility and authentic joy. 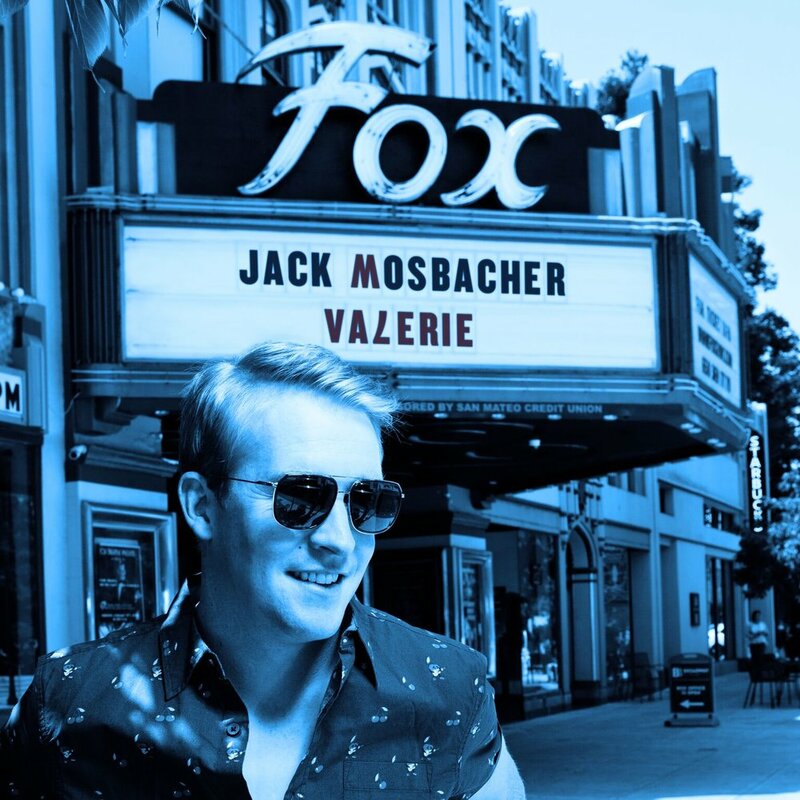 As with all his original music and tributes, Mosbacher’s respect for the incredible artists that came before him shines through in every note. Passionate, genuine and full of admiration, he is ecstatic to release his rendition of this wildly popular track.